Okay! Musume Time: Seasons Greetings and Merry Christmas!!! Christmas is once again upon us! So to everyone who is a part of this big Okay! Musume Time Family, I want to wish you all a Happy Holiday, and Seasons Greetings! MoMusu know what I want for Christmas! SEND ME THAT ZUKKI!!! Before I make this post any longer, why don't you have some Santa-fied HouPri members!? They're cute, I promise! 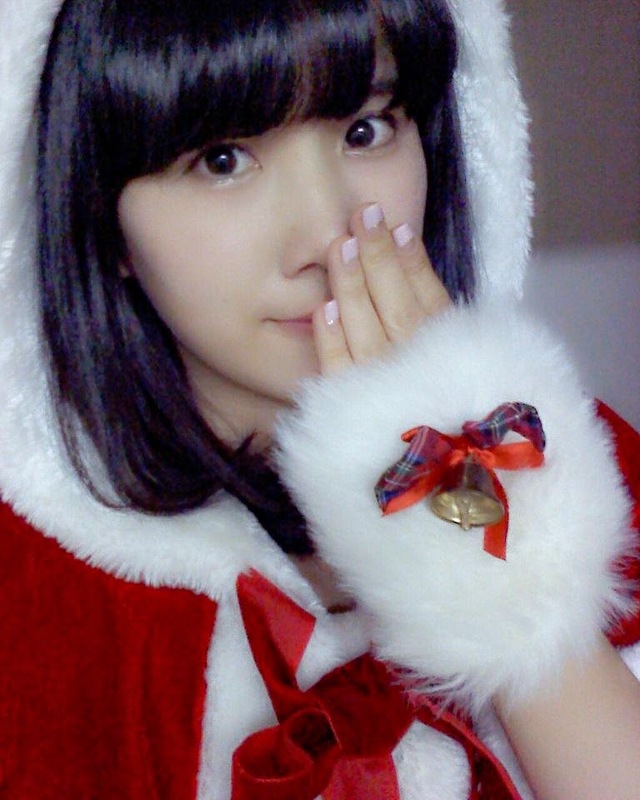 Ahhh, so cute~ Well, Idols aside, have you all had a wonderful Christmas this year? In general, I hope you have had a wonderful day and a great year, but on this day of the year especially, I do wish it the most. Are you healthy and safe? Remember Stranger Danger, too! All that sort of stuff, I think about it, so of course I hope you're having a good time, no matter what, even if you don't celebrate Christmas! Just have a wonderful day! That is all I want for you guys, really. 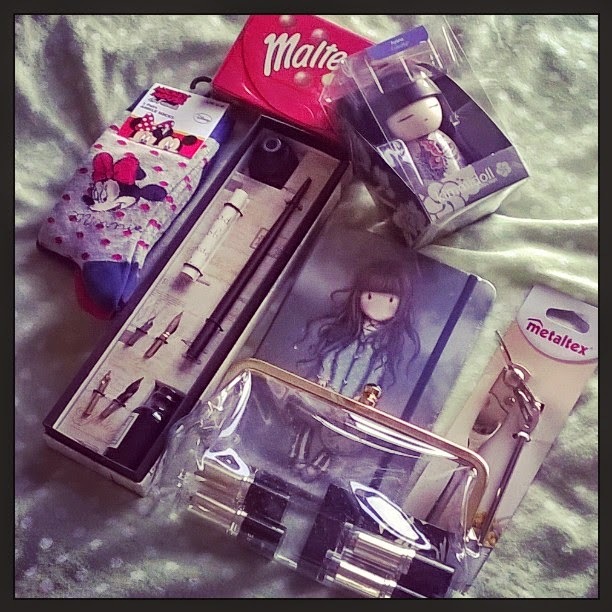 For my own Christmas, I've had a really pleasant day. 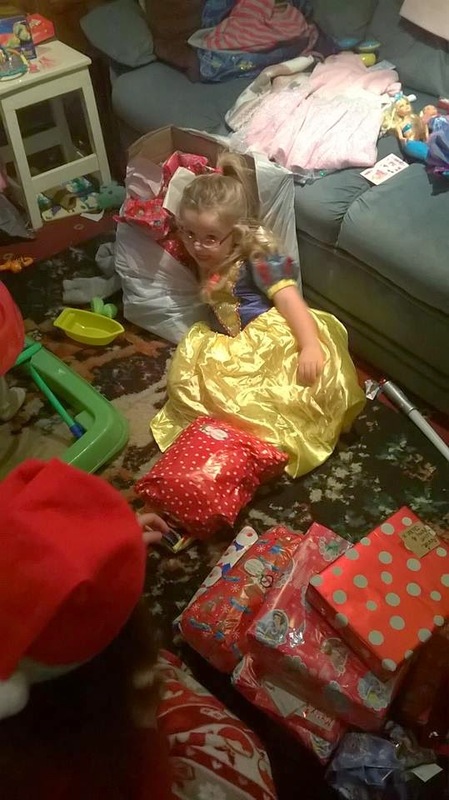 My youngest niece is not that conscious of what Christmas is and or its meaning (or the commercialism behind it) yet, however this year she got into it a lot more than she did last time! She got a lot more gifts than last year as well; we're a big family, so we have a lot of people getting/giving her things on this day, however the same applied to my baby nephew... out of everyone though, my youngest niece really did get a lot in terms of toys and clothes, but she really liked them all and she had a good time today! For us, that really was enough, because we wanted to make this Christmas special for her. We may have succeeded... SUCCESS!!! 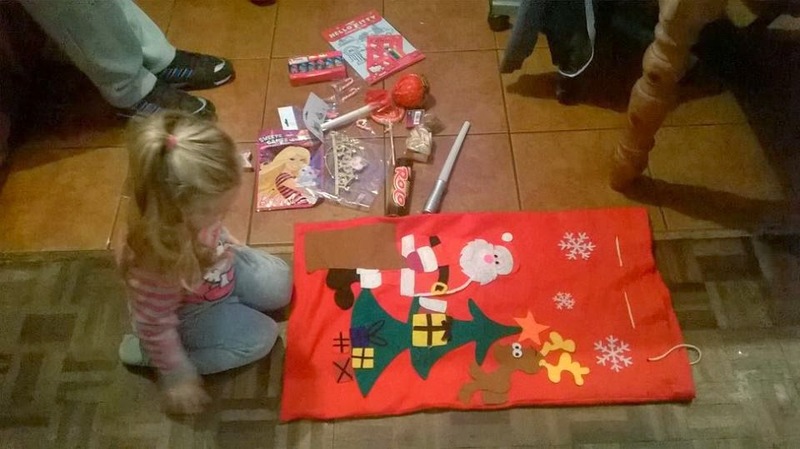 She was so cute when opening up her stocking! And looked even cuter when she started to get dressed up in one of her favourite gifts! This kids a Disney Princess fiend. Surprisingly, I got a few gifts that I didn't expect. The socks, I knew I would get them, I asked for them - I need socks - and the journal was something my sister bought for me (from my niece) whilst I was with her when she got it ! 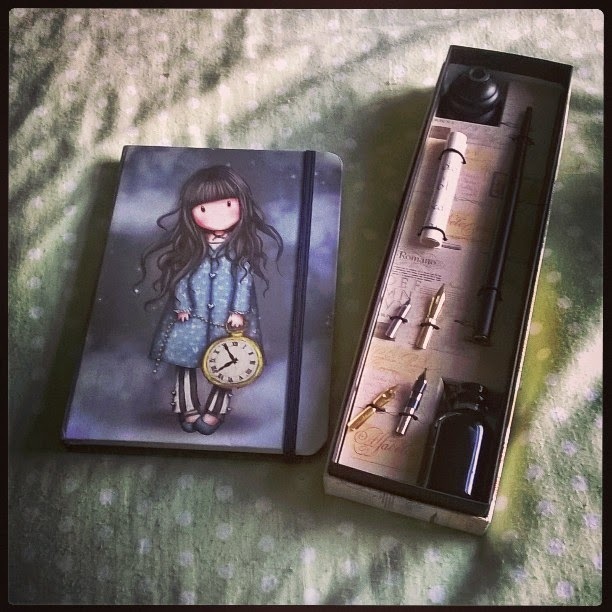 The rest, I didn't actually expect XD For me though, my favourite part of my gifts (aside from the awesome joke gift of a metal can opener - my dad did that, I liked that XD) was that I received a calligraphy set from my parents, and the journal from my sister/niece. It made me really happy! The writer in me is doing a jig right now, I swear, because it's so lovely to receive these sorts of things! Also, they're darned purty! 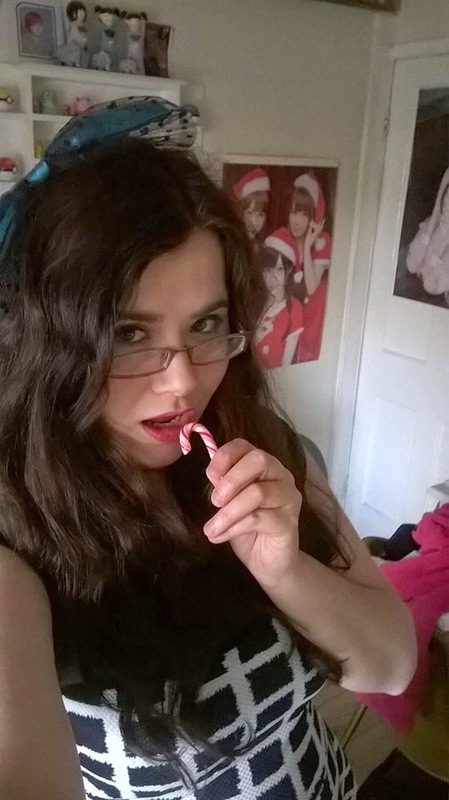 I has Candy Cane, om nom NOM!!! In a way, this has actually been a rather relaxed Christmas, even though it was exciting for my niece and also the first Christmas for my youngest nephew to celebrate! Next year will probably be a bit more hectic, I think - one of my sisters has another baby on the way (Baby Brother to my current Baby Nephew) and I think my niece will be well aware of what Christmas entails, so it may be more chaotic than expected... still, it was nice this year, though surprisingly calm and peaceful (or as calm and peaceful as a house of 10+ can get). And with that, I want to leave you all with another Merry Christmas! I hope that everyone is safe and well, and having a good day, no matter what you are doing or how you celebrate this season. Enjoy the rest of your holidays towards the New Year!